Make joy rides and contemplative drives more relaxing than ever before from the driver's seat of a 2018 Acura RLX. This luxury sport sedan, also available as a sport hybrid sedan, provides you with ecofriendly powertrain options, a bevy of sophisticated interior amenities and intuitive safety systems. Schedule an Acura test-drive at our Acura dealership near Hollywood, CA, to discover how an Acura sport sedan can upgrade your time on the road. 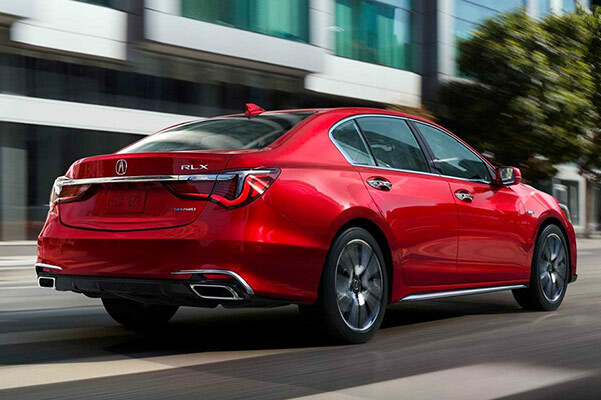 Get behind the wheel of a 2018 Acura RLX at Acura of Glendale, then meet with our Acura financing team to discuss buying vs. leasing the new RLX or RLX Sport Hybrid.